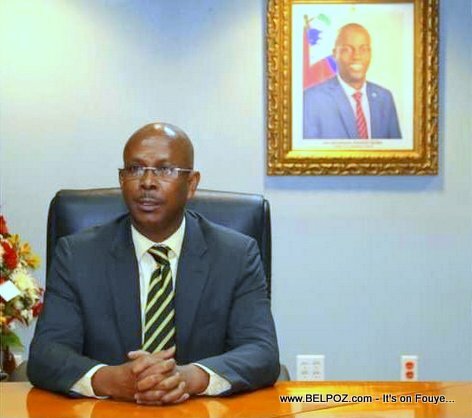 After submitting his documents Monday April 15, 2019, Prime Minister Jean Michel Lapin took some time to answer questions of the Haitian media. 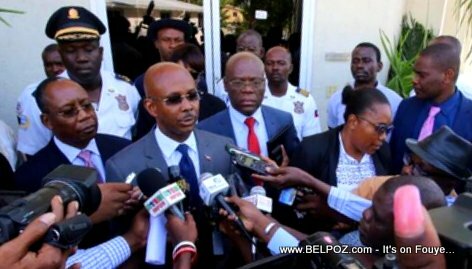 Among the topic discussed were the problem of insecurity in Haiti. 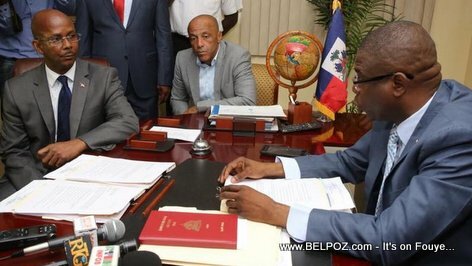 Look at this photo... Prime Minister Jean Michel Lapin submits his documents to Haitian Senate president Carl Murat Cantave while Senator Herve Fourcand watches. 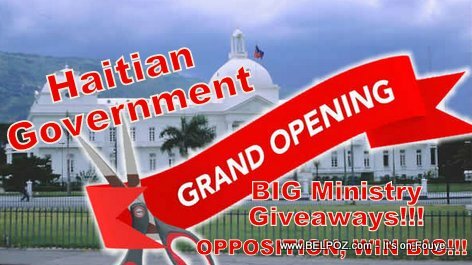 Grand opening inside the Haitian government, big ministry giveaways, opposition leader come take advantage of this grand opening, you could become the next minister! 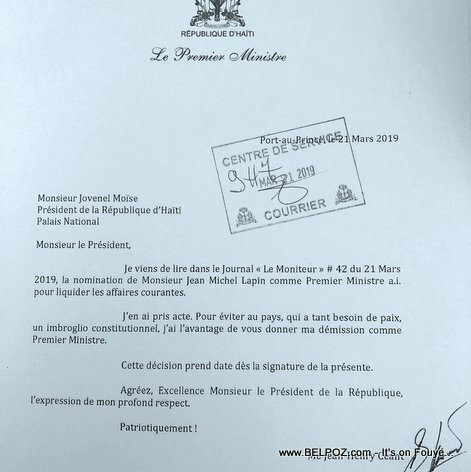 Here is a copy of the official resignation letter of Haitian prime minister Jean Henry Ceant, dated March 21, 2019. 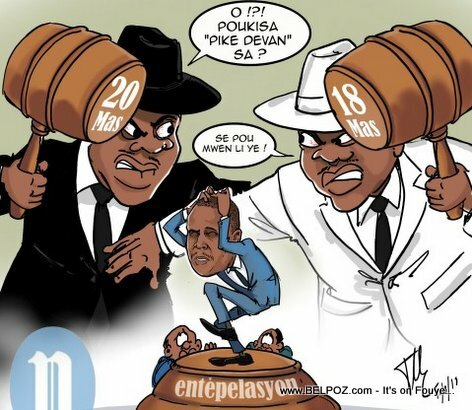 Take a look at this caricature released by Haitian newspaper Le Nouvelliste that best describes a fight between the Haitian Senate and the Chamber of deputes over who will be first to "interpeller" prime minister Jean Henry Ceant. 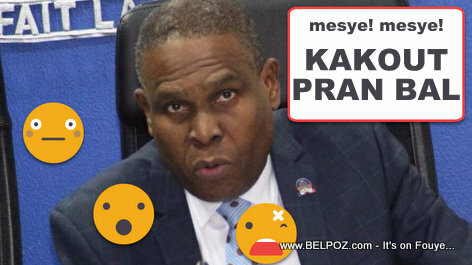 "Oh why are your to mat me to it?" 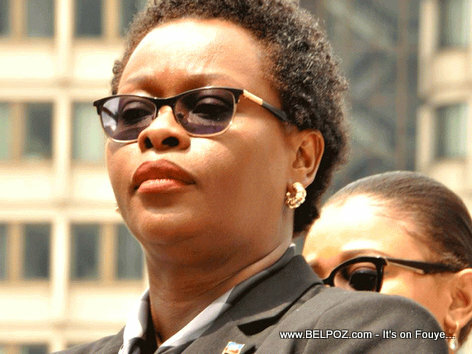 the man in black (The Senate) said. 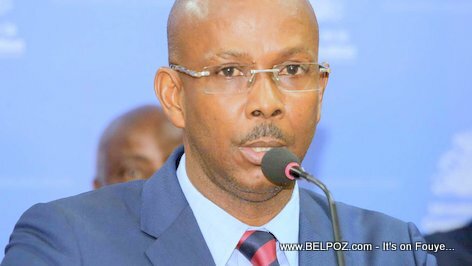 "He's mine!" 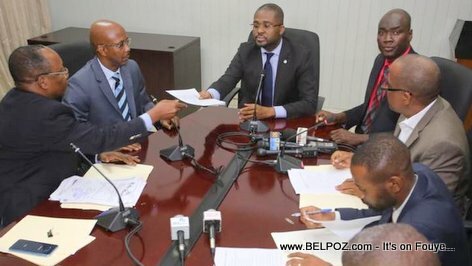 the man in white (The Chamber of Depute) said.